To sustain a world-class string/chamber orchestra based in Toronto, and to make the great wealth of historical and emerging repertoire for strings and small orchestra more readily available to audiences in Ontario and throughout Canada. Sinfonia Toronto is committed to educational/outreach programming, providing opportunities for young people and audiences beyond traditional venues and metropolitan centres to connect music with their lives. Acclaimed as “a world-class ensemble” Sinfonia Toronto is one of Canada’s finest chamber orchestras. The orchestra performs its Masterpiece Series in two of Toronto’s finest concert halls. It presents its concerts at Glenn Gould Studio, where many of its concerts have been recorded and in the Toronto Centre for the Arts. The orchestra has recorded for its own label, Marquis Classics EMI, Cambria and Analekta on iTunes. 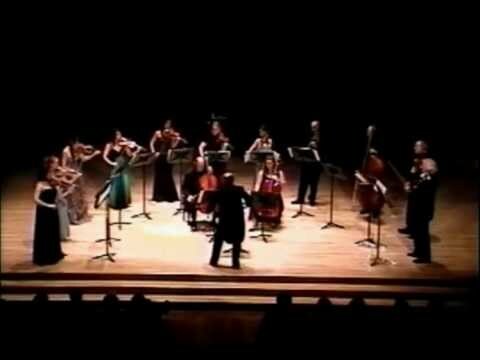 Sinfonia Toronto consists of thirteen virtuoso strings. They perform standing, in the tradition of great European chamber orchestras, blending each musician’s soloistic energy and passion into a brilliant ensemble style under Nurhan Arman’s inspired direction. The orchestra’s repertoire includes all the major compositions from the Baroque through classical, romantic and 20th-Century works. Sinfonia Toronto has premiered many new works, and has been praised by the Canada Council for its commitment to performing music by Canadian composers.